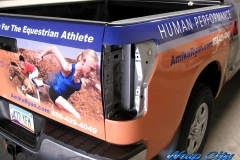 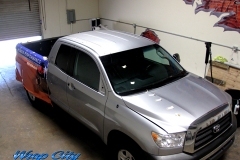 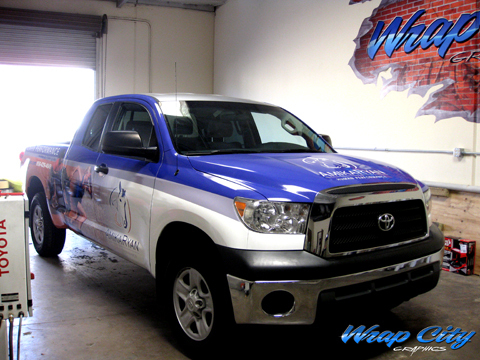 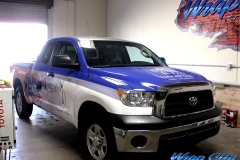 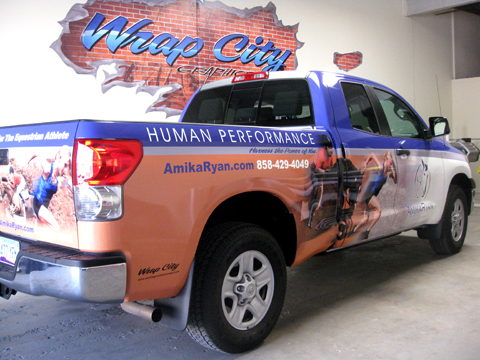 Today we designed, printed and installed a 2007 Toyota Tundra wrap with 3M controltac V3 vinyl for Amika Ryan. 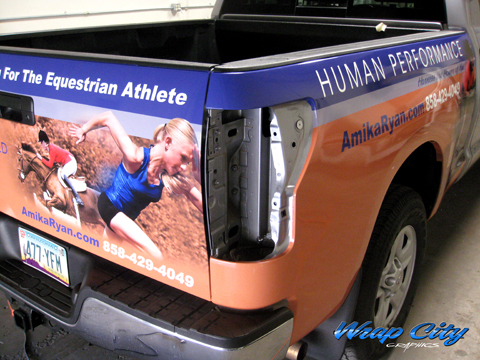 She offers personal performance training for the equestrian athlete. 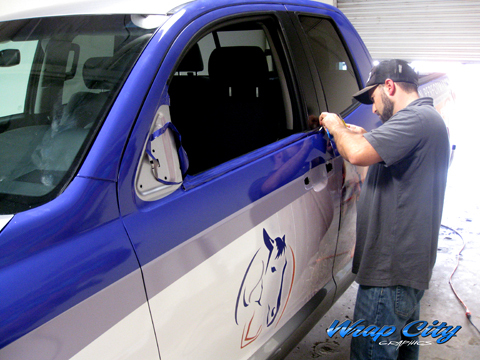 As shown in the photos, the emblems, mirrors, door handles, and tail lights are removed before installing the wrap. 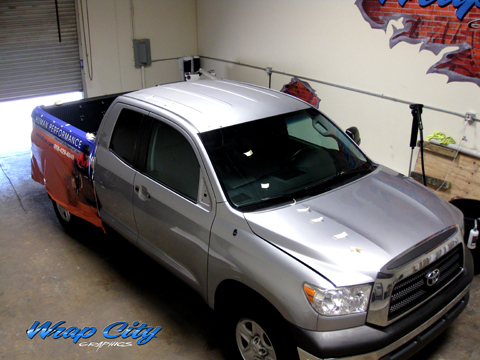 This extra step assures proper alignment and eliminates seems to provide the most paint like look.